DigitalOcean is the fastest growing cloud infrastructure provider built for developers. With state-of-the-art datacenters around the world, DigitalOcean is laser-focused on its mission to simplify infrastructure for development teams. Visit DigitalOcean.com/twist and get $10 credit to spin up a server in 55 seconds! 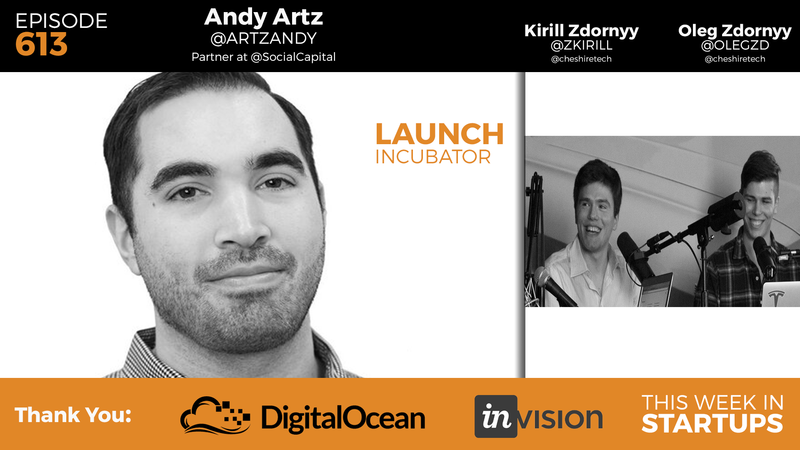 Andy Artz, Partner at Social Capital, shares the major keys to mobile growth success with the LAUNCH Incubator. But first, brothers Kirill & Oleg Zdornyy, the winners of Jason’s “Request For Startup” (RFS) stop by the studio to demonstrate Cheshire.tech.